There are currently 24 users and 1499 guests online. Went out fishing in the Fitzroy Friday night with a friend who has been doing quite well. 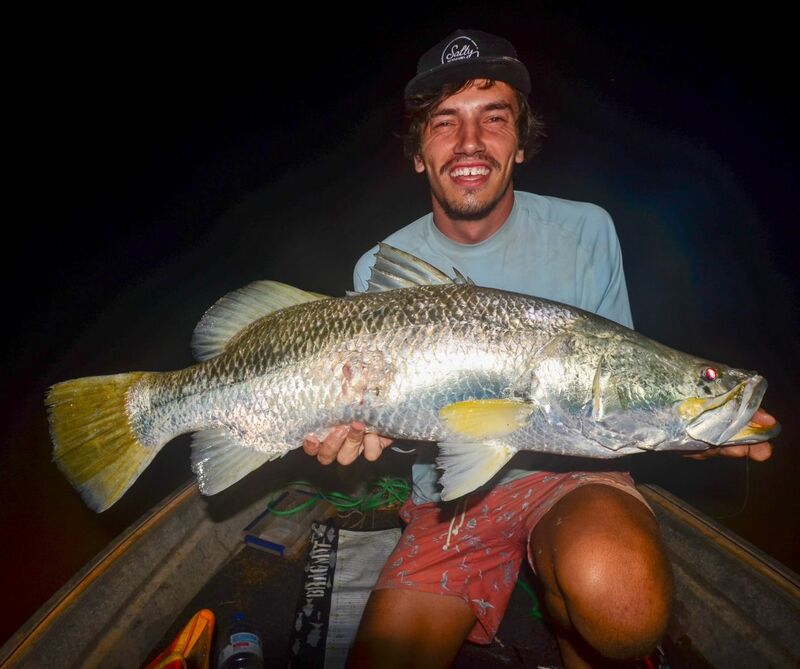 We got a few runs but didnt convert into fish.It was well after 1am at this stage and I was starting to fall asleep as my rod got almost yanked out the small tinny we were in, I quickly free spooled while tightening my drag then clipped over the bail arm and bang you could see a nice size Barra skip across the water. I backed off my drag as I was using 50lb fluro and could see it was gut hooked. After a 10 minute fight and one big jump next to the boat we had it in the net. After a quick hug, a few high fives and a 100 photos, we released the 93cm fish back to grow to that magic metre. It was a personal best for me and I was stoked. Cracker Fish...Jumping Barra get the heart racing that's for sure! !